The term “carbon steel” may also be used in reference to steel which is not stainless steel; in this use carbon steel may include alloy steels. API 5L X46 PSL1 Carbon Steel Seamless Pipe Carbon Steel Seamless Pipe PackingAPI 5L X46 PSL1 Carbon Steel Seamless Pipe Carbon Steel Seamless Pipe is sleeved into plastic bag individually, pieces wrapped with water-proof material, bundled with nylon rope. Clear labels are tagged on the outside of the package for easy identification of the quantity and product I.D. Great care is taken during operation and transportation. API 5L X46 PSL1 Carbon Steel Seamless Pipe Carbon Steel Seamless Pipe packing will be according to international standard in bundles strapped by strips then into containers to avoid any damage. – End of API 5L X46 PSL1 Carbon Steel Seamless Pipe Carbon Steel Seamless Pipe protected by plastic caps. We export API 5L X46 PSL1 Carbon Steel Seamless Pipe Carbon Steel Seamless Pipe to Iran, Iraq, Oman, Qatar, Albania, Muscat, Bahrain, Turkey, Egypt, Maldives, Italy, UAE, Bahrain, Indonesia, Australia, Kuwait, Saudi Arabia, South Africa, Germany, UK, Denmark, Canada, USA, Peru, Brazil, Nizeria, Mexico, Venezuela (Latin America), South America, Russia, kazakhstan etc. 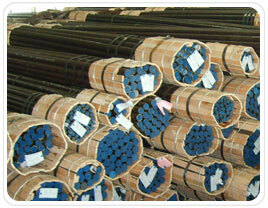 Steber Steel is a well known worldwide exporter of API 5L X46 PSL1 Carbon Steel Seamless Pipe Carbon Steel Seamless Pipe ,Steber Steel is committed to provide each and every customer with the highest standard of customer service. We deals in API 5L X46 PSL1 Carbon Steel Seamless Pipe Carbon Steel Seamless Pipe in India & Overseas, offering a wide range of API 5L X46 PSL1 Carbon Steel Seamless Pipe Carbon Steel Seamless Pipe.